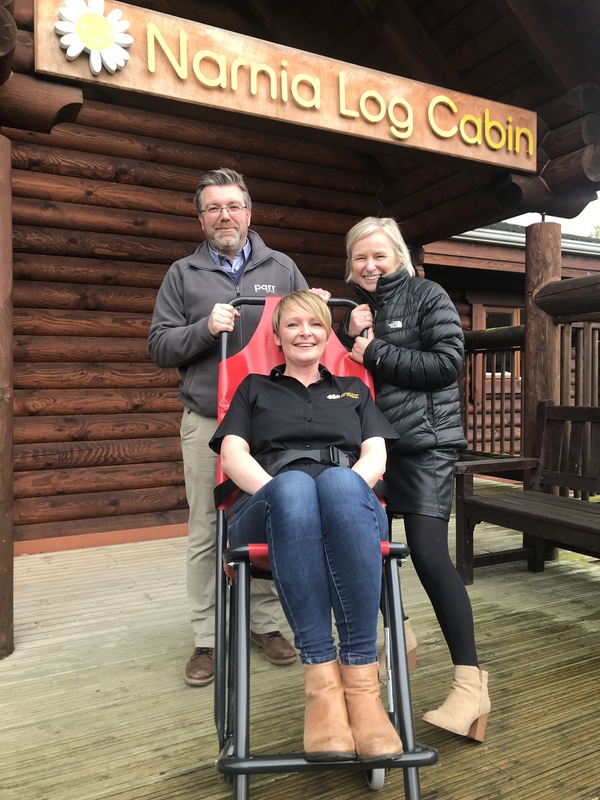 Fire Depot is very pleased and proud to have been able to help the Cancer Fund for Children in Northern Ireland by donating an Exitmaster eGo Evacuation Chair for use at their Children’s residential centre, Narnia Log Cabin. The request came via Fire Depot customer Mark Dean at Parr FM Limited who delivered the chair and provided training to the staff on how to use it should the need arise. Corinna Decodts IT & Facilities Officer at Cancer Fund for Children explained that the charity has now started working with young people at the beginning of their treatment. Some of these patients have mobility issues which makes having the evacuation chair a key requirement but since the charity didn’t have the budget for it this year, the donation has made it possible for those patients to attend the residential centre sooner. 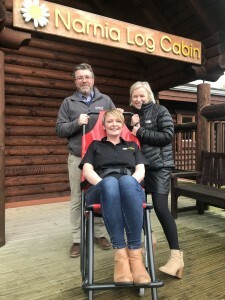 ‘Cancer Fund for Children are indebted to Fire Depot for their generous donation of an Exitmaster eGO evacuation chair for our therapeutic centre Narnia Log Cabin. As we are a registered charity, we depend on the kind generosity of others through donations to allow us to continue our deliverance of vital support services. I would like to express my thanks to all at Fire Depot for their kind and potentially life-saving donation’; said Corinna. Fire Depot is also fundraising for two other charities this year – Children’s Burns Trust and Cancer Research UK. More details on team fundraising activities for these charities will be coming soon!